The payment is the result of a settlement between the bank and the Department of Justice’s U.S. Trustee Program over allegations that the financial institution denied homeowners the opportunity to challenge the accuracy of mortgage payment increases. The DOJ announced the deal Thursday, noting that the lender’s failure to give borrowers timely notice of payment hikes or reductions violated a federal bankruptcy rule aimed at ensuing proper accounting of consumers’ costs in bankruptcy. If a borrower has filed for Chapter 13 bankruptcy protection, mortgage lenders are required to give them 21 days notice before any adjustment to their monthly payment. Wells Fargo acknowledges that it failed to do this in a timely manner for more than 100,000 payment change notices. Additionally, the bank concedes that, between Dec. 2011 and March 2015, more than 18,000 escrow analyses involving the accounts of nearly 68,000 bankrupt homeowners were not performed as quickly as they should have been. • $53.6 million will be paid to more than 42,00 homeowners whose payments increased because of the banks omission of notices. The payments – which average $1,254 per homeowner – will be in the form of a credit to the homeowner’s mortgage account in a lump sum. • $10 million of the settlement will be paid by crediting homeowners’ accounts at the end of their bankruptcy cases. • $1.5 million will be refunded to 3,000 homeowners where notices of decreased monthly payments were not provided. • $1 million is earmarked for 2,400 homeowners whose monthly payments did not decrease despite meeting escrow shortages. • $4.5 million will be paid by crediting the mortgage escrow accounts of about 6,000 homeowners who did not receive timely escrow statements. • $4 million will be paid to about 12,000 homeowners by crediting mortgage accounts in the amount of $333, where Wells Fargo failed to timely perform an escrow analysis. • $4 million will be refunded in cash to about 6,000 homeowners who did not receive timely escrow statements and whose escrow accounts contained surpluses that Wells Fargo had not refunded or credited toward the next year’s escrow payment. • $3 million in remediation to about 8,000 homeowners has already been completed by Wells Fargo for certain violations. 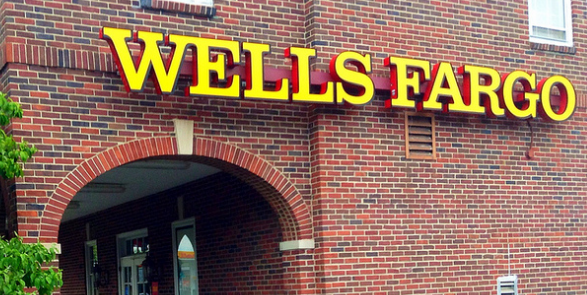 In addition to the monetary settlement, Wells Fargo also will change internal operations and submit to oversight by an independent compliance reviewer.